Jack Butland is one of the famous player of England. He is a goalkeeper of England. He is currently playing for team of England in Stoke City and England national team. His shirt number is one. Harry Kane is the best friend of Jack Butland. He is the professional and best goalkeeper of England. Jack Butland was born in 10th March 1993. His birth place was Bristol England. His nickname is Butland. 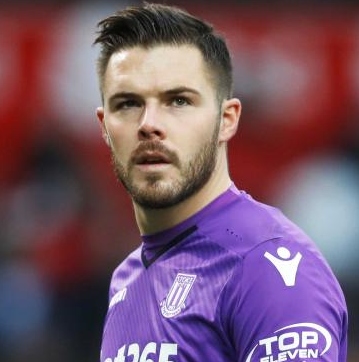 Matt Butland and Jill Butland are parents of Jack Butland. His nationality is England. His birth sign is Pisces. He is from white ethnicity. He studied at Yeo Moor primary school and Clevedon community school. Butland started his career by joining the youth team of Clevedon United. After that he joined the junior team in Birmingham City in 2007 at the age of 14 years. After three year, he was promoted to Birmingham City in 2010. Butland signed a professional contract with Birmingham City in March 2010. He played 29 games for the team in season 2010-11. He was loan to Cheltenham Town in 2011. He spent a 2011-12 season with a team and made 24 appearances for the club. Butland signed a contract of four and half year with a premier league club Stoke City with a transfer fee of €3.8 million in 31st January 2013. He played 54 matches in club and returned to his formal club at Birmingham City in emergency loan in 2013. He spent another two seasons at Barnsley and Leeds United. He played 13 matches for Barnsley and 16 matches for Leeds United. After that, Butland went to Derby County for one month in 20th October 2014. He extends his contract with Stoke City in 18th March 2016 until 30th June 2021. Butland represented his team at Junior and Senior levels which include England U-16, U-17, U-19, U-20 and U-21. After four years in Junior national team, he was called up to national team in 2012. He was the youngest goalkeeper in senior national team after his first match in 2012. His national team won the world cup of 1966 and made fourth place in 1990 world cup. He kept his clean sheet in a match in a Vilnius for UEFA Euro 2016 qualifying match. 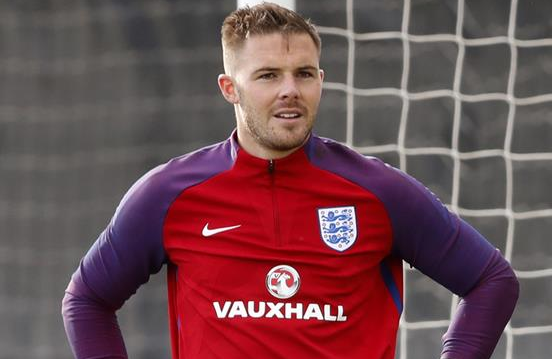 He was named in the 23-man squad of England national team in 2018 World Cup in Russia. Butland is unmarried but he is in affair with Annabel Payton. He is a Christian. His height is 6 feet 5 inch and his weight is 94 kg. His estimated net worth is $7 million and salary is £50,000 a week. His earning sources are Club deals/contract, Sponsorship national team salary. His favorite cars are Range Rover and Audi.